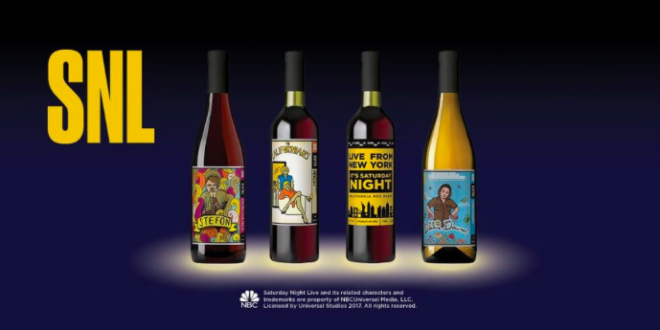 Winemaker Lot18 has teamed with Universal Brand Development and the Emmy Award-winning NBC series Saturday Night Live. Together, the trio has launched a new wine collection that celebrates the long-running show and some of its most entertaining characters. The limited edition collection features four hand-crafted blends and uniquely designed labels to honour the essence of Saturday Night Live, currently in its 43rd season. The collection features a 2016 Saturday Night Live California Red Belnd, a 2016 Stefon Beaujolais, a 2016 Debbie Downer South Eastern Australia Chardonnay and a 2015 The Californians Monterey County Merlot. With a limited number of each specially-created bottle available, the wines are available exclsuvely at Lot18.com.